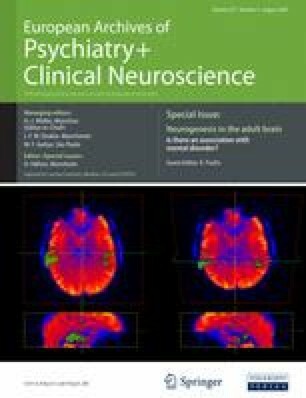 Evidence accumulated in the last decade indicating that psychoactive substances negatively influence neurogenesis in the adult hippocampus has provided new insights into the neurobiology of drug addiction. Using a variety of experimental approaches and treatments, drugs such as psychomotor stimulants, opioids, alcohol and psychedelic compounds have been shown to alter one or several aspects of adult neurogenesis, including the rate of progenitor proliferation, the survival of newly generated cells, and the maturation and acquisition of cellular phenotype. This evidence, though critical from a neurotoxicological standpoint, cannot be linked unambiguously to the process of drug dependence at this stage of research. Drug addiction is a complex recurrent process involving the acquisition and maintenance of drug taking, followed by detoxification, abstinence and eventual relapse to drug seeking. The specific contribution of adult hippocampal neurogenesis to each of these processes is yet to be determined. This notwithstanding, the suggested role of the hippocampus in the storage and retrieval of declarative and contextual memories on the one hand, and in the regulation of mood and affect on the other, provides a fertile ground for further exploring the mutual relationships between postnatal hippocampal neurogenesis and addictive behaviours. This work was supported by grants from the Generalitat Valenciana (Conselleria de Sanidad and Conselleria de Empresa, Universidad y Ciencia), Fundación Bancaja and Ministerio de Educacion y Ciencia (Plan Nacional de Biomedicina).